I feel like if you know me or if you have visited my blog before then you will already know that I am completely obsessed with makeup and not just makeup but base makeup in particularly. 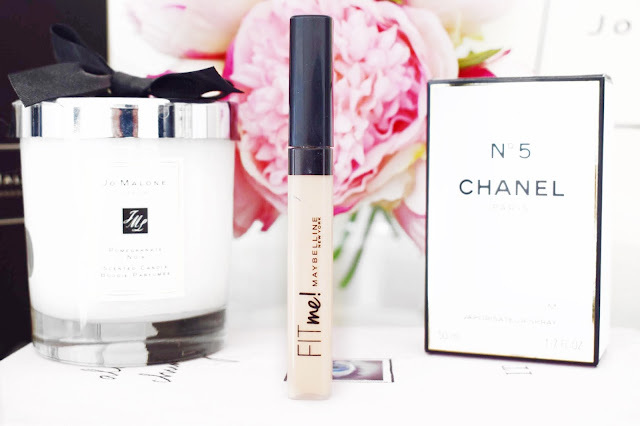 When you look through my makeup collection it is dominated by base products because I have made it my mission in life to find the perfect products to ensure that my base makeup always looks the best that it can possibly look. I just think that what is the point in making an effort with your makeup with an elaborate eye look, if your base makeup doesn’t look the best that it can possibly look. And that brings me on nicely to why I wanted to try this Maybelline Fit Me Concealer. I have seen hell of a lot about this product over the past couple of months and it really does seem to be a fan favourite, so naturally I had to try it for myself. I feel like at the moment I have a gap in my makeup collection for a good, drugstore concealer that I can reach for day after day and that is why I wanted to get my hands on this. 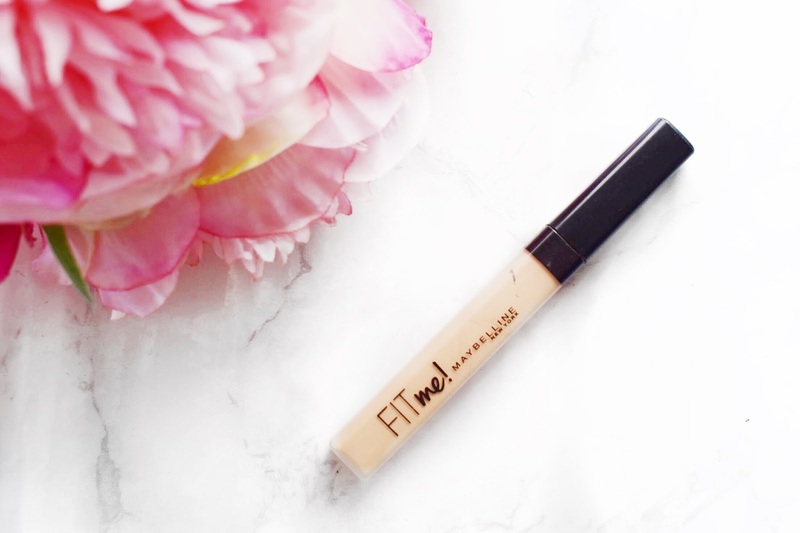 A good concealer really is key, and I have been putting this one through its paces to see how it performs and I it lives up to the very high expectations that I have! The first thing that I want to talk about with the Maybelline Fit Me Concealer is the packaging. The packaging of this concealer is very similar to the Nars Radiant Creamy Concealer in appearance with the square kind of tube and a wand that you pull out with the lid. I think that the packaging is lovely and chic, but it matches the price point very well. I will say that I do put this in and out of my drawer every morning and it is quite quickly looking quite beat up and the writing is wearing off, but that isn’t really a very big issue. Next up, I want to talk about the product itself. This is a beautiful concealer that is lovely and creamy. When you pull the wand out of the product, the doe-foot applicator is very soft, and I feel like it picks up and applies just the most perfect amount of concealer to the face. Then when you apply this to the face, it glides on the skin so lovely and smoothly from the applicator. Also, when I use my damp Beauty Blender, it blends back into the skin like an absolute dream. I would say that there are similarities to the Nars Radiant Creamy Concealer, but it anything it think that the Maybelline Fit Me is much creamier! I would say that this product gives a full/medium coverage. It is a lovely coverage, that isn’t too intense, and it is stunning on the skin. I have quite a few problem areas on my skin such as my hyperpigmentation on my cheeks and my horrendous dark circles, that I obviously like to try and cover and this Maybelline Fit Me Concealer does an incredible job at it. With just one layer of product, everything is covered nice and evenly and it does disguise my problem areas. If I want ultimate coverage with everything completely hidden, I do go in with just a touch more product on the areas where I need it. I really do think that for the price point of this concealer you cannot go wrong with it. The quality of it is just amazing, the level of coverage is ideal, and the consistency is unlike anything else that I have tried before. I know for a fact that this is going to be a staple in my makeup collection for a very long time to come and I am finding it really hard to try something else. I know that hell of a lot of people have tried this concealer already because I am pretty late onto the bandwagon, but I really do think that it is worth the money and everybody should give this a go. In case you want to check this product out for yourself, I will leave a link to this product down below. Make sure to leave me a comment down below and let me know if you have tried this concealer out and what you thought about it!